Dali Katch: Portable Bluetooth Speaker. Price 39000/-. Wrapped in an elegantly rounded solid housing the specially developed drivers deliver the audio signal from the internal digital amplifier. Easily connectable via Bluetooth, and the possibility to enjoy the improved audio quality of Apt-X if supported. The DALI KATCH also support analogue input via mini-jack. Knowing that you will bring you DALI KATCH on the road we included a USB charge output to keep you phone or tablet charged while you rock your beats. Available in three different colour schemes, Dark Shadow, Cloud Gray and Green Moss, the DALI KATCH will blend elegantly into almost any environment. The integrated leather carry strap makes it easy and comfortable to bring along the DALI KATCH and the durable design makes it safe to do so. The DALI KATCH is a portable loudspeaker and will be used in a large variation of situations. To ensure the best possible result in all scenarios, the DALI KATCH has two audio profiles. One is optimized for a linear more neutral frequency response, perfect for most listening situations. The other has added warmth and will work perfectly when playing larger rooms or the music need just that little extra. Optoma UHD60 - MRP 3, 50, 000/- TV, movie and gaming fans can now enjoy impressive 4K cinema quality images in their own home with the Optoma UHD60. Incorporating Ultra HD 4K resolution it brings content to life with thrilling detail, color and contrast for a stunningly immersive experience. Packed with the latest technology and features, the stylish UHD60 boasts High Dynamic Range (HDR) compatibility, HDCP 2.2 support and includes an integrated speaker that provides powerful sound. 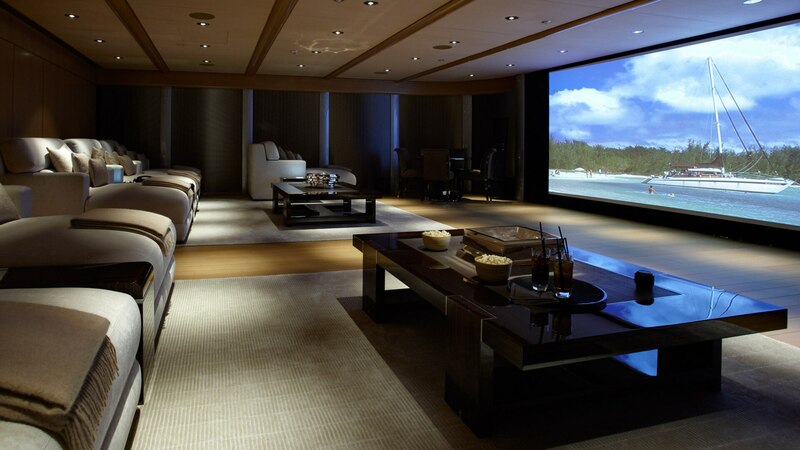 Bright 3000 lumen images and easy set-up means you can enjoy life-like big-screen entertainment in any living space. Buy Arcam irdac irdac if Arcam at a bargain price of only Rs. 50000/- Arcam re-entered the Digital to Analogue Converter (DAC) market with the introduction of the rDAC a few years ago. The stand-alone DAC concept was not new to the Arcam team as they were the first company to ever launch an affordable outboard DAC back in 1989. Building on the rDAC's success, and incorporating feedback from enthusiastic rDAC owners, the Arcam engineering team have produced the irDAC, an enhanced design that raises the performance bar and is delightfully simple to use. The irDAC, so called because it features infra-red remote control, owes much to the development programme behind the reference D33 DAC. The irDAC comes packed with cutting edge technology that brings high-end performance to a wide array of sources. It's outstanding sound quality will deliver sheer musical enjoyment for all music lovers. The Arcam engineering team gain a great deal of new insight while developing the class leading FMJ D33. Areas such as isolation of digital and analogue stages, ultra-low noise power supplies and direct coupled signal paths make a big difference to outright performance. The irDAC uses the outstanding Burr Brown 1796 DAC and 8 separately regulated power supplies to ensure class leading performance that are unmatched in the irDACs price category. Jitter reduction is an obsession within the Arcam engineering team. The circuits developed for the D33 anddeployed in the irDAC produce a signal that is almost entirely jitter free. The irDAC is designed to be the heart of a digital system and can be connected to a host of different types of digital sources and connections. This includes asynchronous USB and direct iPod connection, taking the digital signal direct from an Apple device for optimal sound quality. All of the inputs can be controlled through the irDACs IR remote handset that also controls PCs, MACs and iPod® / iPhone® / iPad® devices via the HID (Human interface device) controller. Paradigm CT 100 When size and sound matter, these affordable audiophile collection delivers blockbuster solutions like Cinema. Cinema speakers are designed for smaller spaces but despite their compact size, they deliver a blockbuster music and home theater experience. While it’s true, there are tiny satellite speakers aided by small subwoofers that can be “hidden” in many living spaces, when it comes to great audiophile sound these systems had never delivered … until Cinema. For years now, these award-winning Cinema speakers have been delivering a seamless music and home theater soundstage that brings movies to life and makes music sound “live.” Rumour has it that with this new generation of Cinema speakers, the sound may be even better than the movie.